Medicare Service is committed to keeping all Medicare equipment operating optimally at all times during the entire life cycle. This is paramount to us as uninterrupted operation first and foremost warrant's the patient's safety, and also prevents inconvenience for the hospital. Medicare Service helps clinicians get the most from all of our equipment, both in the intensive care unit as well as in the operating room. 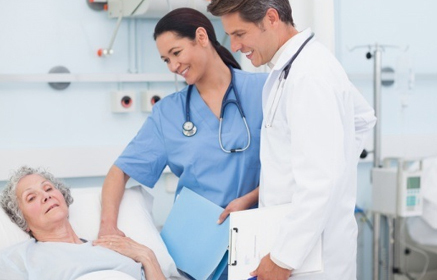 Medicare Service comprises a range of offerings that support your Medicare products and ensure optimal performance. This in turn means the best care for patients, and lasting value from the investment. Medicare Service offers a partnership that puts Medicare's expertise at the clinician's disposal, giving the benefit of the company's many years of experience in the field, and its continuous commitment to research and development. Medicare offers a wide range of products, including operating tables, OR lighting, and ventilation and cardiopulmonary products. Customers can have all their Medicare equipment covered by a single service agreement. We work closely with customers to find the optimal solution for their service needs. Please ask your local service contact for information on how we can tailor a solution to your specific service needs. Contact information can be found in the panel to the right.